Thinking about starting a organic garden this spring – then you need to read this?! When you are shopping for the right vegetables or flowers do you get confused on what types of seeds or plants to buy? Have you ever noticed that there are two main types? One is modern hybrids and the other is heirloom varieties? And yes it can be quite confusing at times! Let me explain a few facts that might help you make the right choices. If you are concerned about your health and your family’s health than I suggest you use heirloom seeds. In fact I have five great facts and reasons why you should use heirloom seeds for optimal health and for the best garden with abundant produce throughout out the whole season. Read on to learn why you should not use hybrid seeds! Hybrids are created by crossing two selected varieties usually resulting in strong plants that will yield more than heirlooms, but are not always the most nutritious or flavorful. Heirlooms vegetables are one time varieties that are open-pollinated, and have been handed down from one generation to that next with a history of success. Seed Savers is the leading nonprofit organization dedicated to saving and sharing heirloom and other rare seeds. Hybrids are sometimes cross-bred to be picked green and gas-ripened for commercial growing and to be shipped across the country. One good example of this is the Florida tomato that many times has very little flavor and not worth spending your hard-earned money on. Heirloom seeds are many times centuries old and shipability was not a consideration but flavor is. 2. Heirlooms and their Nutritional value: Some of the newer varieties of commercial seeds and breeders push for higher yields and many times seeds have been breed for disease and pest resistance, look, and convenience, but lose much in nutritional value. Recent research has shown that in many cases that hybrid produce has lost much of its nutritional value and according to the NY Times we are breeding the nutritional value out of our food. 3. Heirlooms ripen gradually: Commercial producers of produce use hybrids because one vegetable ripens at the same time which is convenient, saves them time and makes transportability so much easier. Heirlooms seeds usually give you a continuing supply of fresh produce and longer growing seasons. 4. Heirlooms are open-pollinated: I you are using non-hybrid seed (heirloom) varieties you are growing original strains with much higher nutritional content that have generations of true to type – meaning that they are exactly like their parent plants. Heirlooms seeds can be saved from year to year with the same great results while hybrids seeds might be like the parent plant or they might turn out very different. 5. Saves You Money: In a time when our country is in financial crisis using heirlooms seeds from your own produce makes a lot of sense. It can save you money this year and for many years to come. The best ways to reduce your cost of living is growing your own food. Organic heirlooms seeds can be saved from year to year with the same great results and nutrition and in their natural form the way Nature meant it to be. 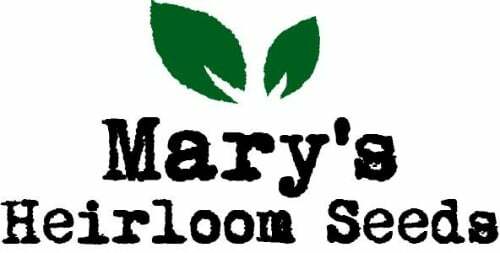 One great source to purchase organic heirloom seeds and supplies — check out marysheirloomseeds. 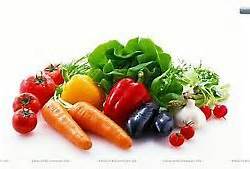 Check this utube out for great information to help you start your own organic garden! 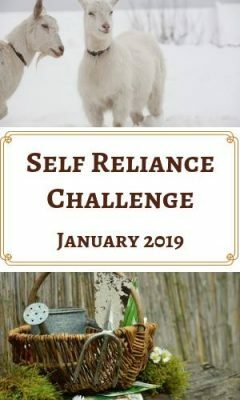 Shared On 4 SEASONS BLOG HOP! 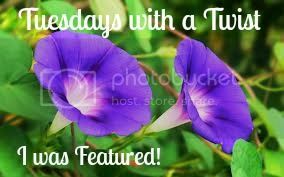 Congratulations on being featured on The HomeAcre Hop, hugs. Thank you for helping to spread the message! Thank you for sharing this at the HomeAcre Hop; I hope you’ll join us again this Thursday. Thank you for featuring my post. I feel honored. Have a wonderful healthy day! This is so important! Many gardeners mean well but they don’t realize how unwise it is to use hybrid seeds.I can’t wait share this valuable advice on the benefits of heirloom organic seeds with my friends and followers. Thank you so much for sharing this post on the Healthy, Happy, Green & Natural Blog Hop! I appreciate it! I have only grown vegetables from seeds twice and that is for some beans and Swiss Chard I grew last year. Is it okay to buy the plant at a nursery specially if it says Heirloom tomatoes or bell peppers? Thanks for stopping by #wowlinkup. Yes that is fine to buy the Heirloom plants. I many times buy plants instead of seeds. Thanks for reading my article and have fun gardening. Have a wonderful healthy day! This is the very first year I am starting my garden from heirloom seeds. I started them indoors during one of our recent snow days and they’ve already sprouted. Looking forward to when the weather warms to get outside and get my hands dirty. I have Cherokee Tomato’s growing in my garden right now and can’t wait until they ripe. Thank you for sharing it on our Four Seasons Blog Hop. Pinning now!! Hi Shawna, I sure you will enjoy those tasty Cherokee tomatoes. Glad to be part of 4 Seasons Blog Hop! Have a wonderful healthy day! WOW!! Thank you for the amazing shout out! Heirloom seeds are totally the way to go! I never even knew what heirloom meant but now I’ll always go for it! Thanks for sharing! Glad that reading my article taught you something important and useful. Thanks for reading my article and commenting. Have healthy wonderful day! I would certainly like to have an “heirloom garden” one day! Great information. It’s so hard since hybrids are EVERYWHERE! I want to start my own pot garden this year and will ask the nursery if they have heirloom seeds. Thanks for stopping by #wowlinkup. Thanks Diatta for reading my article and commenting. If you check there are quite a few places on line that sell heirlooms seeds. Happy gardening. Glad to hear that! Thank you for reading my article and commenting. Have a wonderful healthy day! I love this post! I especially like point #3 … our society seems to want everything fast but if we let veggies grow naturally, we’ll have a continuous supply. And just imagine, lovely, flavorful tomatoes all season long. Thanks for sharing this information. I couldn’t agree with you more about #3. Thanks for reading my article and commenting. Happy gardening!